Trading forex/CFDs on margin carries a high level of risk, and may not be suitable as you could sustain a loss in excess of your deposit. 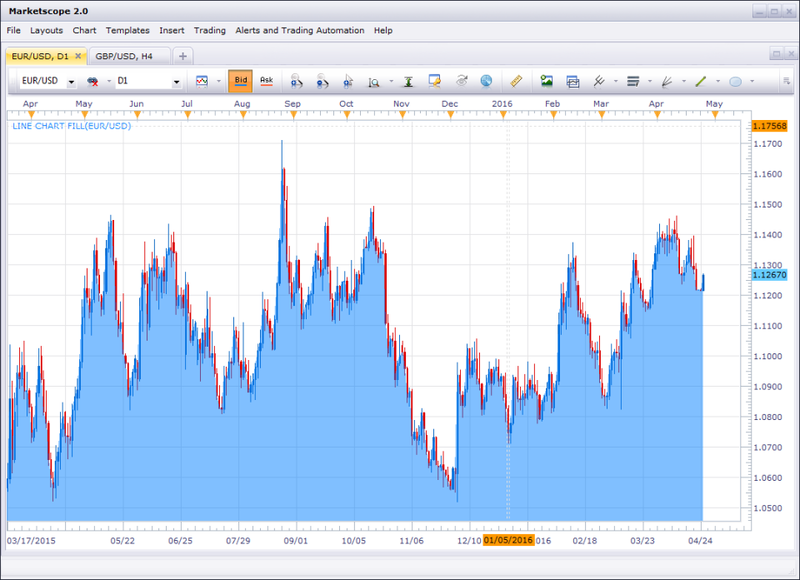 Enhance your charts and make trends easier to spot with the Line Chart Fill indicator. 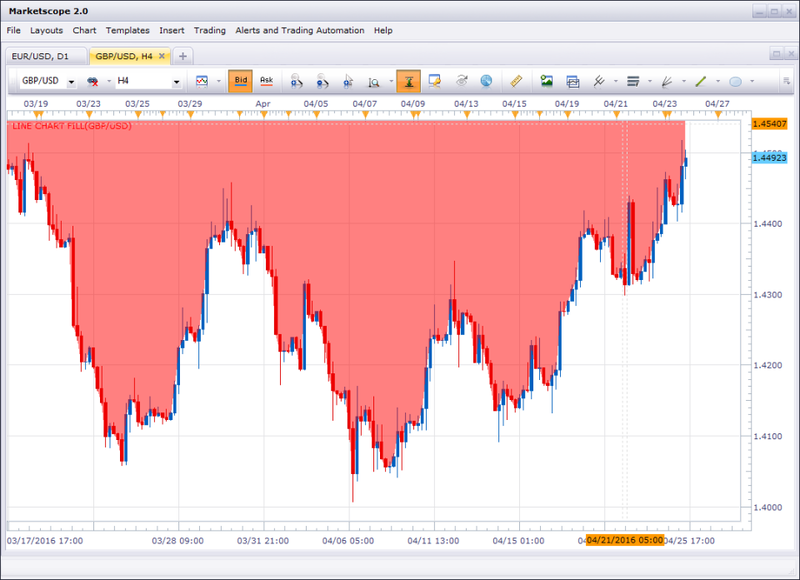 Use the indicator to fill in your chart with a specified color above or below the price line. You have the ability to customize the color and transparency of the chart fill. The application displayed on this page does not take in to consideration your individual personal circumstances and trading objectives. Therefore it should not be considered as a personal recommendation or investment advice. Past performance is not indicative of future results. There is no guarantee that the systems, trading techniques, trading methods, and/or indicators will result in profits or not result in losses. This Add On is only compatible with FXCM Trading Station Desktop software. Additionally, an FXCM account is required (including free FXCM demo accounts). We can customize any app to meet your trading needs. All you need to do is tell us what you’re looking for and we'll help you build the perfect trading app.